Relax with our 5 step process to your perfect dream home. The Tempo team provides a personalised service with our proven 5 step process, getting you from your old house into a brand new, custom-built home. We’ll help you through the process every step of the way. Located in the heart of the Mornington Peninsula, we pride ourselves not just on creating exceptional homes – we help you to build the lifestyle you’ve always wanted. Through our partnership with local architects and planners we provide clients with seamless integration of design flexibility, project management and high quality home construction. With more than 10 years’ experience in knockdown and home rebuild, we’ll guide you through each step of the process. Our seamless 5 step process is very straightforward, flexible when you need it to be and above all, transparent. Our fully integrated service incorporates clear communication and solid advice reflected in the quality of every home we build. The Tempo Home Rebuild team carry out a site inspection to assess your block of land and gather all data required to develop the site. From this information we’ll establish opportunities and any potential issues to finalise the scope of the project, we’ll then prepare a preliminary footprint design. Using the information you give us about your lifestyle, how you want to live, the style of home you want and your budget, we’ll prepare concept plans for the site, and floor plans and façade elevations of the home. Once a concept design is finalised, we’ll provide easy to understand quotes based on the approved concept drawings and custom inclusions list. 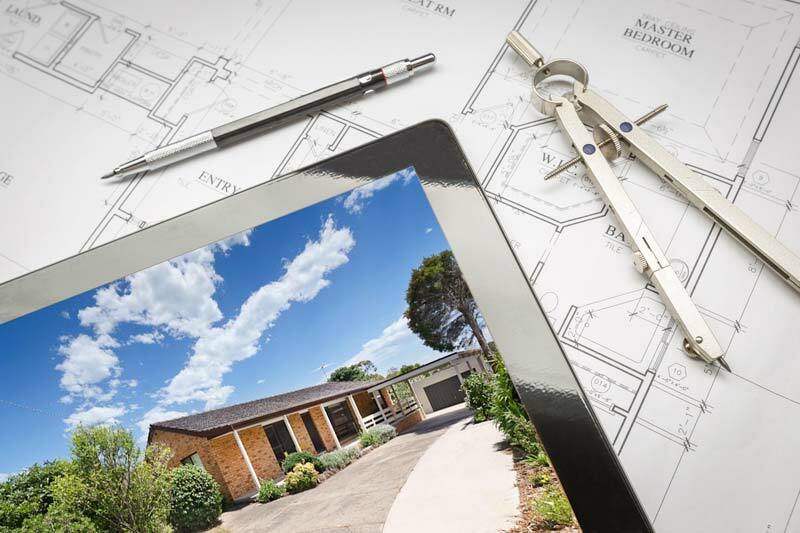 With the advantage of our local knowledge, The Tempo Home Rebuild team of specialists prepare all necessary drawings required for the town planning application. We’ll also manage the town planning application which can often be a complex process. With the concept drawings approved, the Tempo Home Rebuild team start work on the architectural drawings required for the building permit application. Probably the most exciting part of building your own home can also be one of the hardest – and that’s making all the interior fitout and colour selection decisions. The Tempo Innovation Centre showcases the very latest materials, fittings and trends to help you make your selection choices. At the Tempo Innovation Centre you’ll also be able to see first-hand the quality of our work. Once all the nitty gritty details have been decided upon, we’ll prepare a final estimate and provide you with a fixed price quotation. With all the decisions made and signed off, the next step is to apply for a building permit. The Tempo Home Rebuild team will prepare the application and take care of all the administration that goes with obtaining a building permit. With the building permit obtained, we’ll start construction of your custom-built home. You’ll be introduced to the project manager, who’ll manage all trades, suppliers and all aspects of the build.